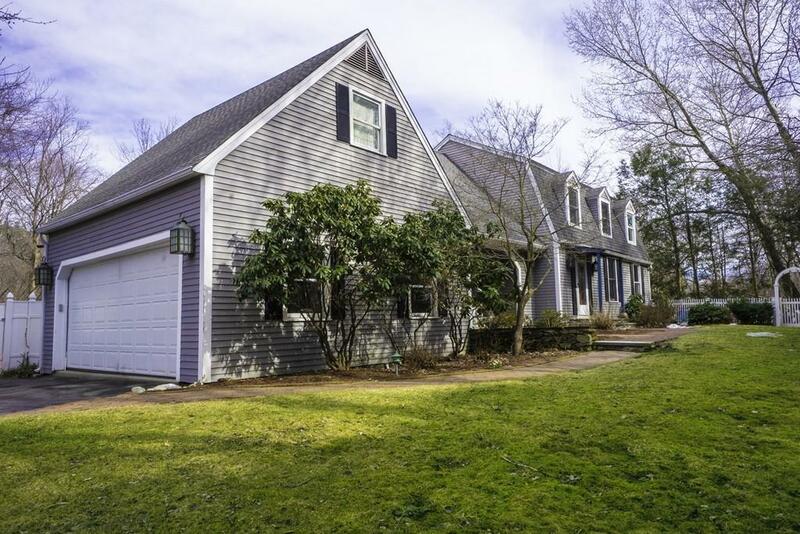 This distinctive, impeccably maintained cape on quiet street, featuring acres buffered by conservation land, w/wooded privacy, magnificent redwood deck w/hot tub, is a tranquility rare found close to Natick mall, I90, Rt. 9/30/126, parks, and Boston. A lot of natural light coming in through oversize windows. 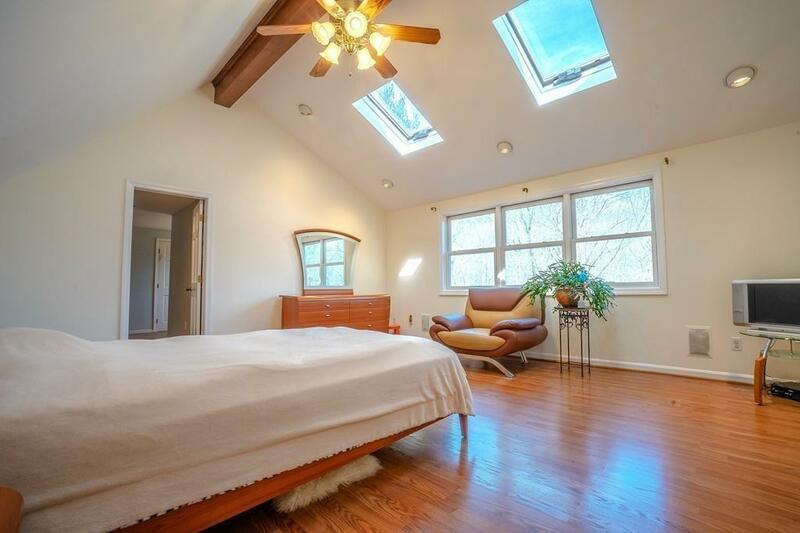 Master suite w/extensive walk-in closet, beautiful skylights, luxurious bathroom w/ Jacuzzi, shower & double vanity. 3 more bedrooms w/closet spaces & full bath complete 2nd level. 400 sqf home theater room in LL with wet bar, 108" screen & wired for surround sound & projection. Living room with a fieldstone fireplace wall overlooks a private backyard & flows directly off the eat-in area & open concept exquisite kitchen. 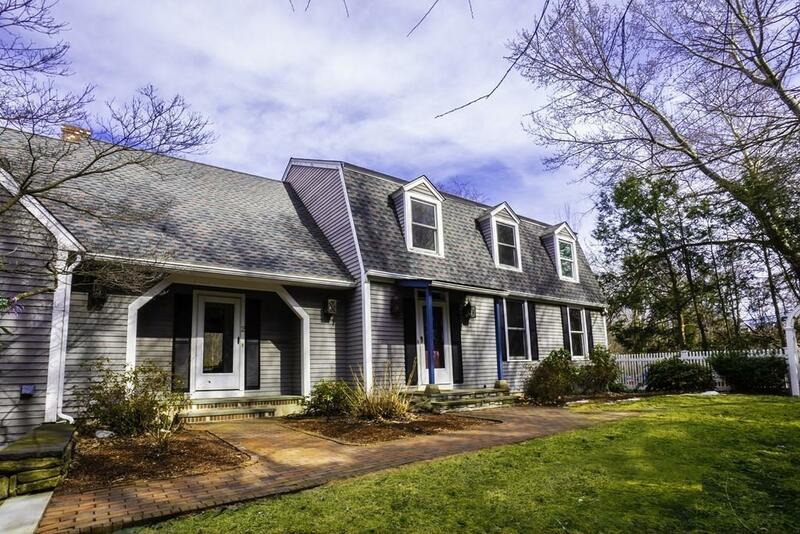 Formal living & dining rooms w/hardwood floors & bay windows, granite foyer entry, 2-car garage, laundry room, 1/2 bathroom, 2014 roof, 2013 windows, newer water heater, sprinkler & security systems, the list goes on! Bonus 1yr Home Warranty is offered. Listing courtesy of Dmitriy Dribinskiy of Re/Max Unlimited. Disclosures 1 Year Ahs Shieldplus Home Warranty Option is Being Offered To The Buyer. 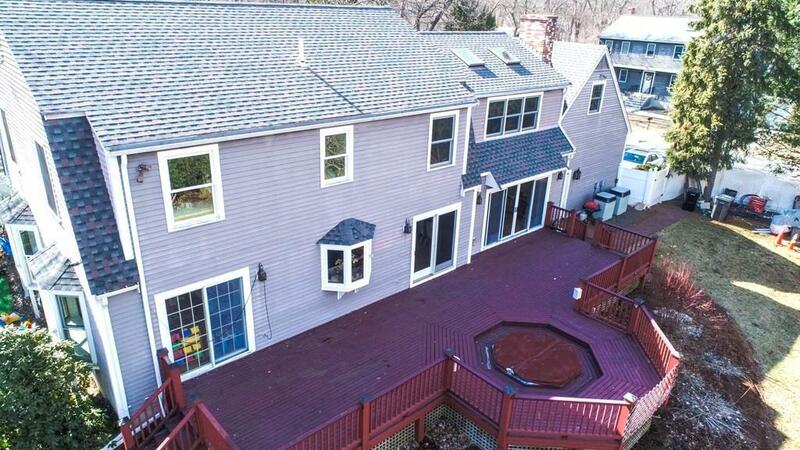 Buyer Advised To Perform Due Diligence Inspection And Verification Of Condition And Contract Terms Prior To Closing. Room Sizes Aprox. Listing provided courtesy of Dmitriy Dribinskiy of Re/Max Unlimited.